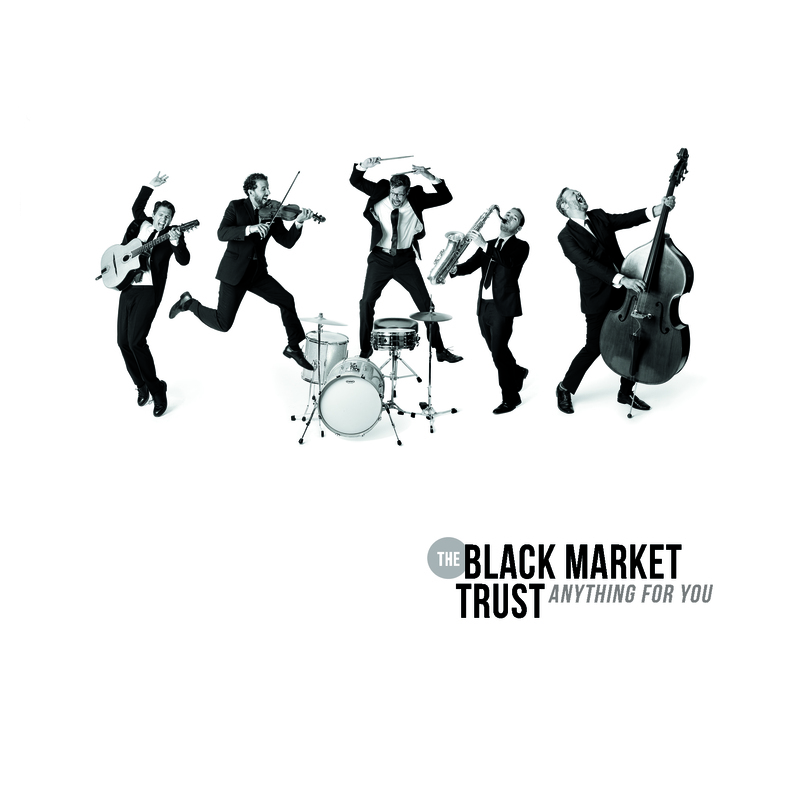 The Black Market Trust is a five member jazz band based in Los Angeles. 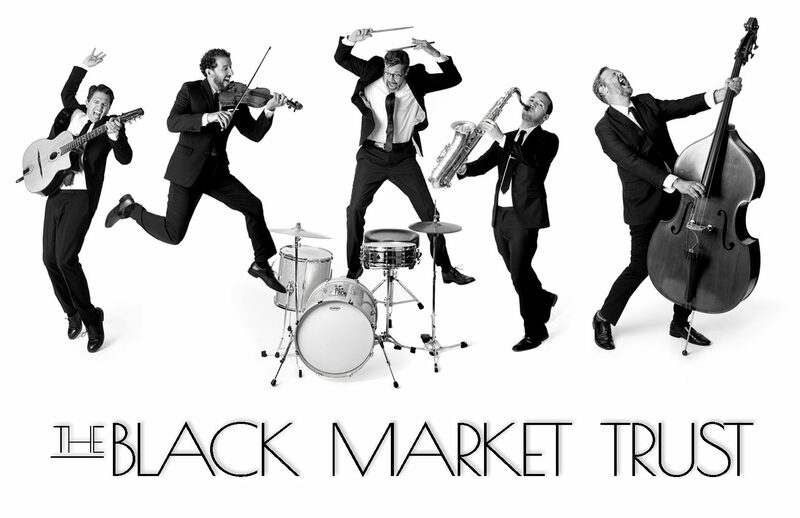 Since the 2012 release of their all instrumental debut album “The Black Market Trust,” a milestone in the genre of gypsy jazz, the band has gone on to record two more albums, maintain a busy touring schedule, and have their music featured on TV shows like the ABC television series “Happy Endings” and the Hulu original program “Casual.” The band features the Django Reinhardt inspired gypsy sound of acoustic instruments, and infuses classics from the Great American Songbook with intricate vocal harmonies inspired by The Beach Boys, and other artists influential to the group. Their sophomore album “II” featured a Top Ten hit on the Adult Contemporary charts, a signature version of “Route 66”. JOIN US AT OUR NEXT SHOW!